From the first tapping of the maple trees in Quebec's Sugar Woods. 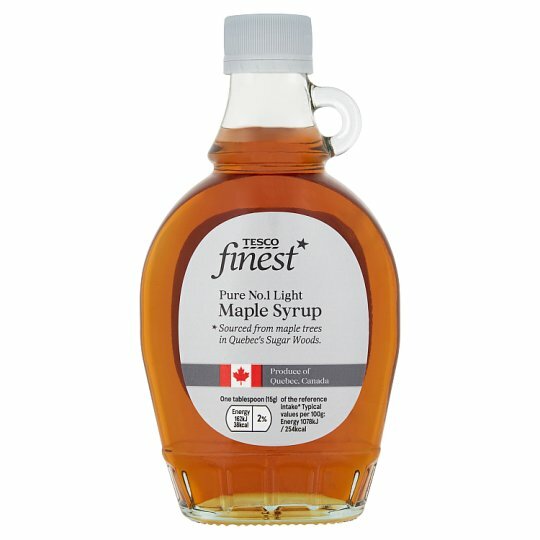 Our Finest maple syrup comes from the first tapping of Quebecois maple trees, which means it's the very best quality. It takes 40 litres of sap to make just 1 litre of this smooth, delicate syrup, full of butterscotch and crème caramel flavours. Store in a cool, dry place. Once opened, keep refrigerated and consume within 3 months.